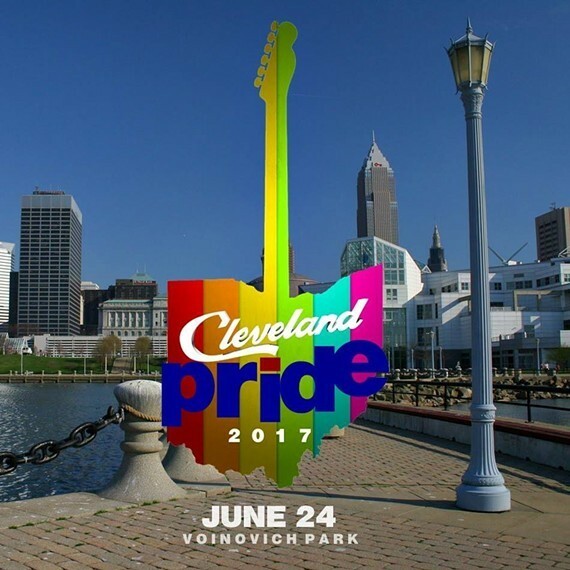 Cleveland Pride is Saturday at Voinovich Park, and Todd Saporito is still the CEO and Board President of Pride Inc. Saporito remains in his position despite public assurances that he would step down after the cancellation of last year's event and a growing dissatisfaction with his leadership. The decision to cancel the 2016 Pride event resulted in the creation of Pride in the CLE, which enjoyed its second-annual march and event earlier this month. Saporito appeared on Sound of Ideas last year to discuss the cancellation controversy and said he would be stepping down, though not because of pressure in the community. An online petition was circulating at the time calling for his ouster. "I don't think you really ever want somebody to walk away without finishing up and wrapping up their books, personally," Saporito said, responding to a caller. "This was actually my last year to be working. As a matter of fact I was called in to this year because they were having some issues." "So you're done?" Host Mike McIntyre clarified. "My goal is to wrap up the organization," Saporito said. "There are new board members coming on, schools that are linked to it. I mean, we actually have tight relationships with all the college GSA programs... I'll be wrapping up everything that I can to make sure they have everything they can for next year." But Saporito is still in charge. Though he did not respond to calls and emails from Scene, two community members familiar with the organization told us that Saporito was still at the helm. A current member of the event planning committee, Elise Bigley, confirmed that this was the case. "After the 2016 cancellation, members of the board, planning committee, and community asked that he stay on for a final year to help transition new leadership," Bigley wrote to Scene in an email. "He has been training me and several of my peers so that we are prepared for the challenges that organizing an event of this scale inevitably holds." But that was Saporito's position last year. Couldn't he have stayed on in an advisory capacity? Did he truly need another year at the top to train new members? "I certainly hope to continue my work with the event next year,” she said. “But right now we are focusing our efforts on hosting an awesome event for the community and hope that others will join us in doing the same."